Starting from your Dashboard, click on Company. 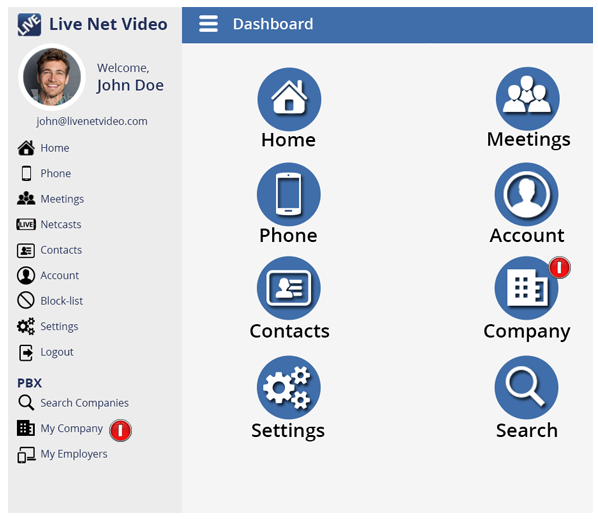 The Company Dashboard Screen will open. From this Screen, click on PBX Lines. 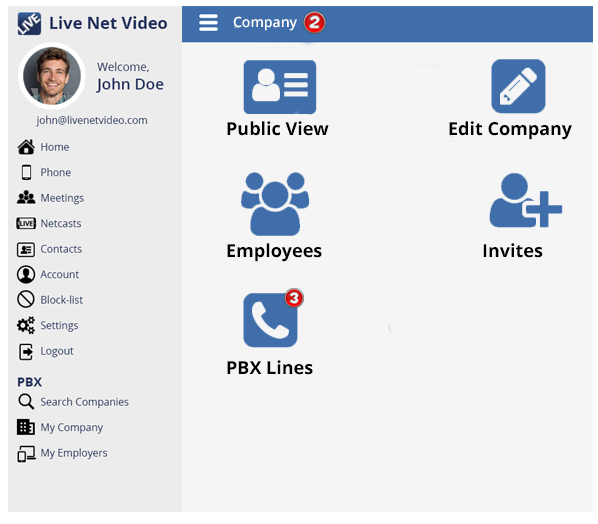 Click on the Add PBX Line. 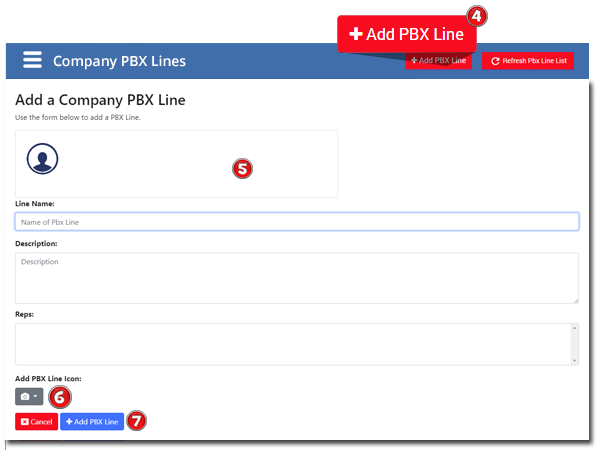 To Add a PBX Line, fill out the form that appears after the ADD PBX Line is clicked. If you want to add an image or icon for the specific line, click the camera icon. Once you’ve completed filling out the form, click the Add PBX Line.